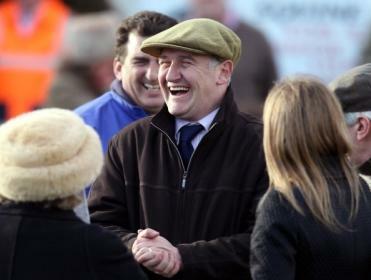 Two runners for Donald at Market Rasen on Sunday. "It’s taken a while for him (Vinstar) to get the hang of things over hurdles but there was a lot more to like about his run behind Vaniteux at Doncaster last month..."
It's taken a while for him to get the hang of things over hurdles but there was a lot more to like about his run behind Vaniteux at Doncaster last month and that one hasn't done the form any harm since. He shouldn't have any problem with the drop back in trip and given what he was capable of in bumpers, I would like to think there was more to come. This looks an ordinary race and his best chance to get off the mark over hurdles so far. He's been very disappointing since he won his bumper but this is his first crack in a handicap and it should be a bit more suitable. He won a point before he came to us so he can jump - he just hasn't been doing a very good job of it over hurdles! Hopefully he will treat these bigger fences with a bit more respect and it's not the strongest race.